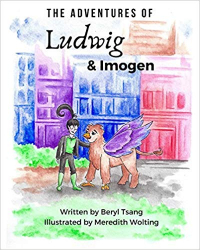 Book Review: The Adventures Of Ludwig & Imogen - Along with her imaginary pet hippogriff, Ludwig, they enjoy waffles, pizzas and navigate their way through traffic and around the playground near their urban home. 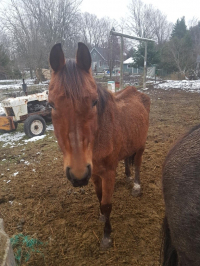 On January 2, 2019 a judge of the Ontario Superior Court, Justice Timothy Minnema, ruled that law enforcement by an unaccountable private organization such as the Ontario Society for the Prevention of Cruelty to Animals (OSPCA) is unconstitutional. “There didn’t appear to be adequate or consistent feeding” describes Tupper who made more than a few calls to the OSPCA herself. 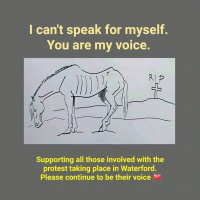 Petition calls for the Minster of MCSCS to immediately suspend further funding to the OSPCA and to conduct a forensic audit of how this significant amount of public money has been spent. The Dressage Derby was held as an exciting exhibition competition that challenged riders to perform a test at the FEI Prix St. Georges level on a horse they’d never ridden before after just five minutes of preparation. Nicole Walker of Aurora, ON was crowned the winner of the $125,000 Canadian Show Jumping Championship on Nov. 3 at the Royal Horse Show in Toronto, ON. With top caliber sport and entertainment for every horse enthusiast, the world-renowned Royal Horse Show, held as part of the 96th Annual Royal Agricultural Winter Fair, returns to Exhibition Place in downtown Toronto, Canada, from November 2 through 11, 2018. 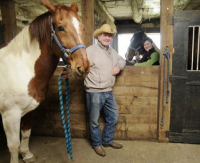 Its about a man and his love for his wife, of over 65 years, his kids and his horses. Herb Towers loved life.